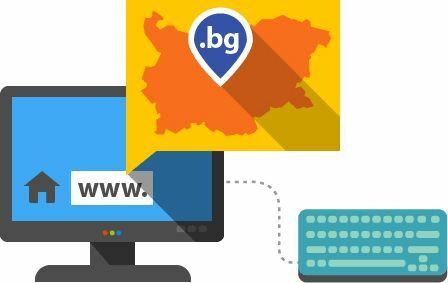 Register or transfer your .bg domain! As an official registrar we offer completely legitimate first- and second-level .bg domain registration including such with Cyrillic letters. an option to select the most suitable hosting plan for your needs. * The .bg domain registration is associated with additional requirements, which includes signing a document (either power of attorney or registration request) for Registrant identification. The current domain registrant sends new domain registrant details (about the individual or company) by email. Request for .bg domain ownership transfer (change) and a domain transfer declaration are generated, based on the received information. Then the request for .bg domain ownership transfer is sent to the new registrant for signing and the domain transfer declaration, needs to be signed by the current domain registrant. After the documents have been duly signed, they are gathered together in Register.bg's system, and the transfer process is completed. The domain registrant sends details necessary for performing the change by email. A request for the registrant's correspondence address or e-mail address change is generated. The request is sent to the registrant for their signature, and then the documents are gathered together in Register.bg's system. The domain registrant sends details necessary for performing the change by email. A request for the registrant's name change is generated. The request is sent to the registrant for their signature, and then the documents are gathered together in Register.bg's system. The domain registrant sends details necessary for performing the change by email. After the details are received a request for the administrative contact person change is generated. The request is sent to the registrant for their signature, and then the documents are gathered together in Register.bg's system. The domain registrant sends details necessary for performing the change by email. After the details are received a request for change of domain usage purpose is generated. The request is sent to the registrant for their signature, and then the documents are gathered together in Register.bg's system. The domain registrant sends details necessary for performing the change by email. A request for .bg domain registration cancellation is generated. The request is sent to the registrant for their signature, and then the documents are gathered together in Register.bg's system.